Soy, which contains natural phytoestrogens called isoflavones, has been clinically shown to ease hormonal transition. Women with a soy-rich diet report lower incident of hot flashes and other menopause symptoms. Recent studies also show that women with a sy-rich diet have healthier bones and increased breast health. 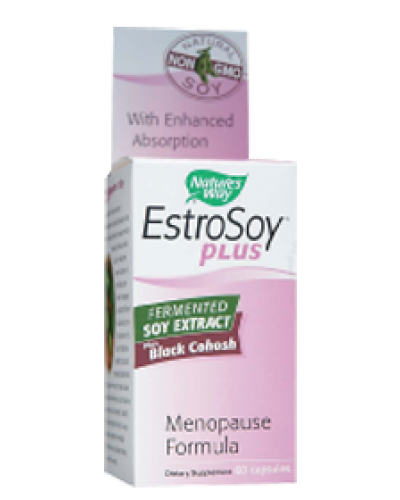 The diets referred to in these studies involve fermented soy (as in food like natto, miso and tempeh)EstroSoy Plus from Nature's Way is a unique dietary supplement containing fermented Soy consistent with the scientific research. 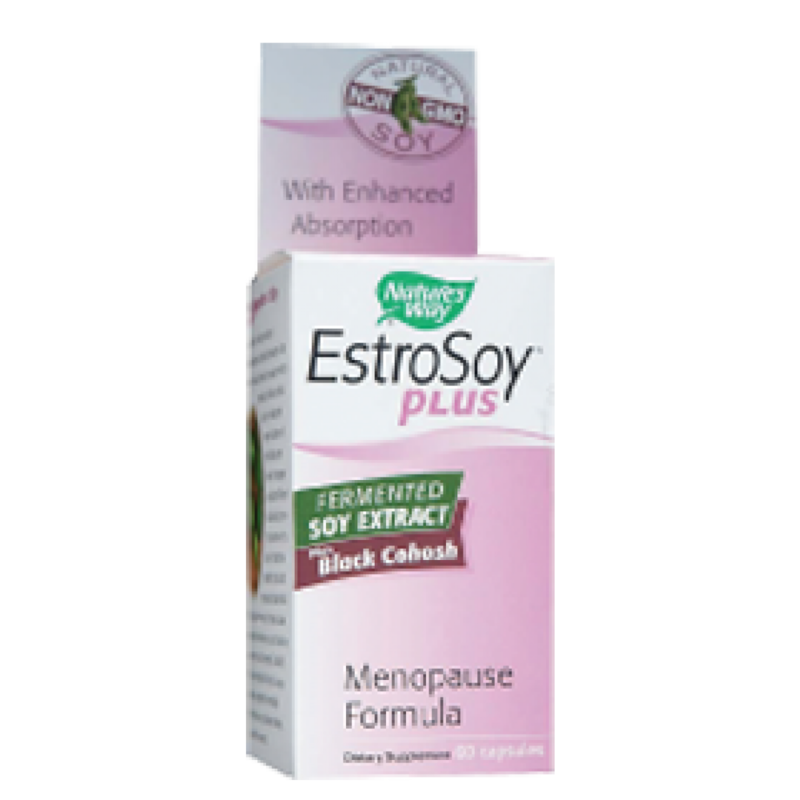 Whole Foods Approach: EstroSoy Plus is made from whole soybeans fermented with a natural, proprietary proceses. Fermentation yields more isoflavones and a diversity of supportive nutrients including beta glucan and glutathione. 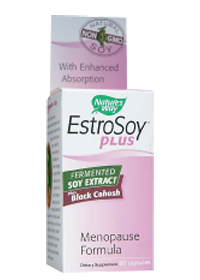 Non-GMO Soy: EstroSoy Plus is made from 100% natural soybeans with no genetic modifications.